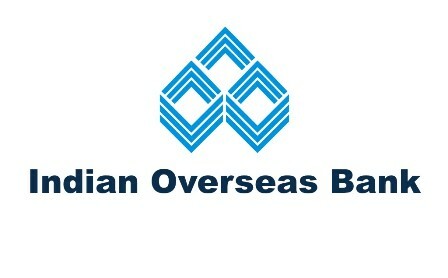 Chennai, February 26, 2018 - Indian Overseas Bank (IOB), one of the leading public sector banks in Southern India, has become the first public sector bank to on-board Tamil Nadu Generation and Distribution Corporation Limited (TANGEDCO), a subsidiary of Tamil Nadu State Electricity Board (TNEB) as a biller in Bharat Bill Pay (BBPS), a payment enabler offered by NPCI. Allowing the bill payments of TANGEDCO will further enhance the usage of BBPS platform and add convenience to the customers for electricity bill payments seamlessly. Tamilnadu Electricity bill payments can be made through multiple payment channels of Indian Overseas Bank like Internet, Internet Banking, Mobile, Mobile-Banking, POS (Point of Sale terminal), Mobile Wallets, mPOS, Kiosk, ATM, Bank Branch, Agents and Business Correspondents. Any individual can visitany of the above BBPS payment systems to make electricity bill payment by choosing Tamilnadu Electricity as a biller. The consumer shall fetch the outstanding bill amount and make payment. This facility is powered by Indian Overseas Bank by on-boarding TANGEDCO as its biller. Commenting on this alliance,MD & CEO Shri R Subramaniakumar, IOB said, "We are in a move to offer convenient services to the society. Our Bank will support and act as the backbone for facilitating bill payments of TANGEDCO. The initiative is in line with the Reserve Bank of India’s (RBI) vision to facilitate payments for customers round the clock. We are also in the process of launching various other Billers in our fold, in order to provide convenience to the individuals in processing all their utility bills through a seamless platform."